Beth Stephens Cook Woodbury passed away November 24, 2018. She was born in Riverdale, Utah on March 9, 1924 to Jesse Monroe and Verna May Child Stephens. She married Everett Milton Cook October 1, 1945 in the Salt Lake Temple. Five children were born to this union. That sealing was canceled, and she was married for eternity to Donald Parker Woodbury, August 20, 1974 in the Ogden Temple, and thus acquired one more daughter. Beth’s mother died when she was 9. From age 10 ½ a step-mother, Ida Foster Stephens, filled in for her. In 1935 the Stephens family moved to Tremonton, Utah. Beth graduated from Bear River High School in 1941. Moving back to Riverdale she worked at the Ogden Knitting Mills as a seamstress, marker, cutter and knitter’s assistant. When World War II gained momentum, she moved to San Diego, California where she worked in an aircraft plant as a riveter and trouble shooter on navy bombers until aft V-J Day, then went to work in a specialty sewing shop. Though Beth preferred to be a stay-at-home mother, circumstances made it necessary to work at times. She did custom sewing, worked for American Linen, as a U.S. Census enumerator, and finally as a rural mail carrier for the Roy Post Office in 1963. She retired from the Postal Service in 1977. Beth’s main interest and concern was her family. She loved gardening and created a peaceful haven in her yard. Her wisdom and construction skills served many. Her other interests were sewing, painting, family history, scrapbooking and journaling, and writing inspirational poetry. 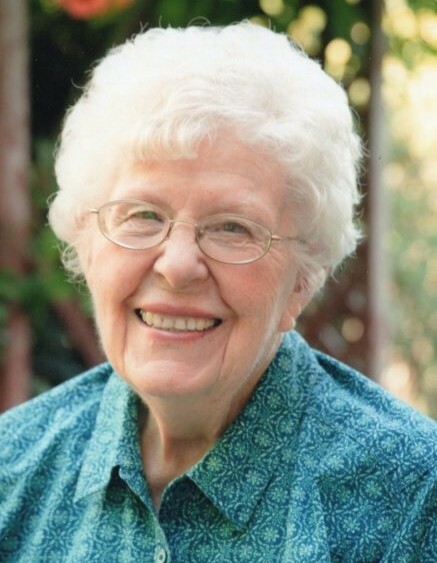 Beth was an active member of the Church of Jesus Christ of Latter-day Saints and served in many capacities: Primary and Relief Society presidencies, genealogy and family history, served as a guide and research consultant at the Salt Lake Family History Center for 8 years, and also in the Ogden Genealogy Center, a stake mission in the German extraction, on other general church extraction indexes, a visiting teacher, and as a teacher in every auxiliary organization over the years. She loved teaching. She was the first president of the Ogden Area Special Interests Organization, where she met her eternal companion, Don. Beth leaves a legacy of unconditional love, service, faith in the Savior, and how to endure valiantly to the end. Her last act of service for everyone in her family was to personally design and create the traditional Christmas ornament that always expressed her love for each individual. The last one being complete just hours before her death. Beth is survived by her children: Judy (Fred) Coy, Kristine Pritchett, Sandra Burborough, Ross M. (Jocelyn) Cook, Layne E. (Lani) Cook, LuDawna (Will) Ramage, and a foster daughter, Patricia Bowen; 56 grandchildren, 86 great-grandchildren, 1 great-great-grandchildren, and brother Don C. Stephens. She was preceded in death by her husband Don, brothers: Garth and Robert, sisters: Evelyn and Ruby, and one grandson. Funeral services will be held at the Sandridge Ward, 4900 S. 2000 W. Roy, Utah on December 1, 2018. A viewing will be held from 9:30 to 10:30 a.m. prior to the funeral which will be from 11:00 to 12:00. Interment will be at Memorial Gardens of the Wasatch, 1718 Combe Rd, Ogden, UT.